Fraternal Order of Moai members joined forces with Lemon Hart Rum for a special happy hour event at The Mai-Kai in September. 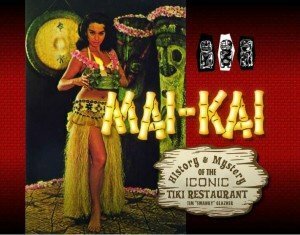 * Tiki Bingo has its own special happy hour from 6 to 8 p.m. in the Samoa Room with half-priced cocktails and appetizers from The Mai-Kai’s extensive menu. It’s the same happy hour menu you get in The Molokai bar from 5 to 7 p.m., so feel free to start there before heading back to Samoa for bingo. Also, if the great Mai-Kai cocktail menu isn’t enough, the South Florida members of the FOM are always looking to add special cocktails and rum sponsors to the bingo events. One past happy hour included a Mai Tai flight featuring versions from Trader Vic’s, Don the Beachcomber and The Mai-Kai. 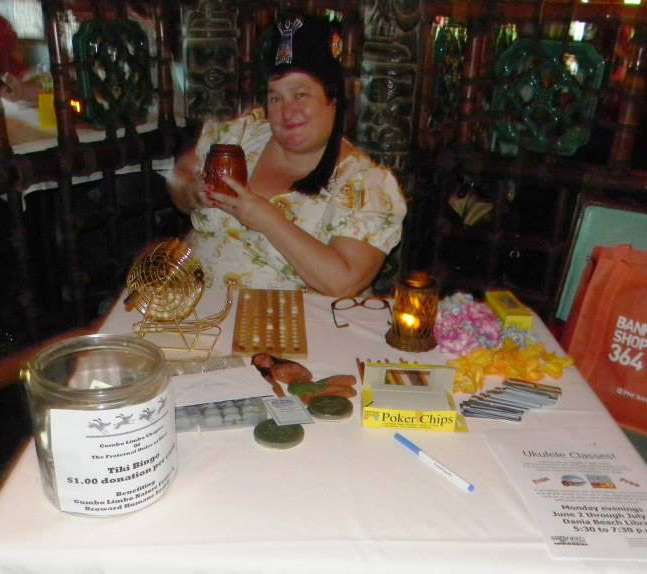 * You can help South Florida charities via special raffles and fund-raising activities. Local animal and nature groups are usually earmarked. The Jan. 17 event benefits the Humane Society of Broward County. * Meet and greet some of the area’s most dedicated Tikiphiles while enjoying the best food, drinks and ambiance you could ask for. Don’t know anybody? Don’t sweat it with this welcoming group. Don’t worry, there will be no hazing rituals. Unless, of course, you order a Mystery Drink, which is a whole different type of ritual. Keep an eye on the Gumbo Limbo Chapter’s page on Facebook for future events. The plan for 2019 is to hold Tiki Bingo nights on the third Thursday of the month. The group also hosts other special events at The Mai-Kai, such as last year’s Sept. 29 happy hour sponsored by Lemon Hart Rum and featuring current, retired and lost cocktails plus prizes, giveaways and more. A previous Mai-Kai happy hour event featured cocktails from Smuggler’s Cove. Also, every summer, the group helps put on the Stripped + Stranded – Summer Luau at Stache Drinking Den in Fort Lauderdale. 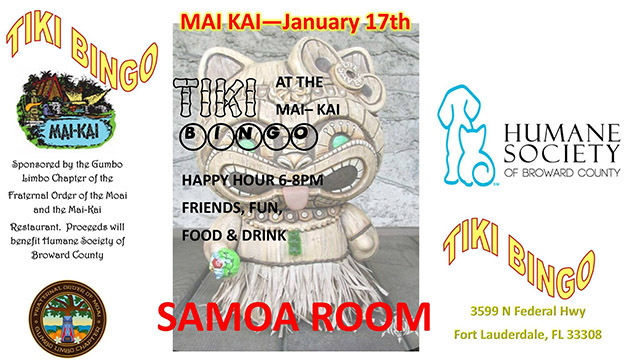 This entry was posted in Cocktails, Events, Events, Events, Events calendar, Mai-Kai, Restaurants, South Florida, The Tiki Times and tagged Fraternal Order Of Moai, Lemon Hart, Mai-Kai, Tiki Bingo. Bookmark the permalink.